Mochi Craft, an iconic Italian brand of the Ferretti Group, was founded in the 1960’s and produced flybridge models for decades. 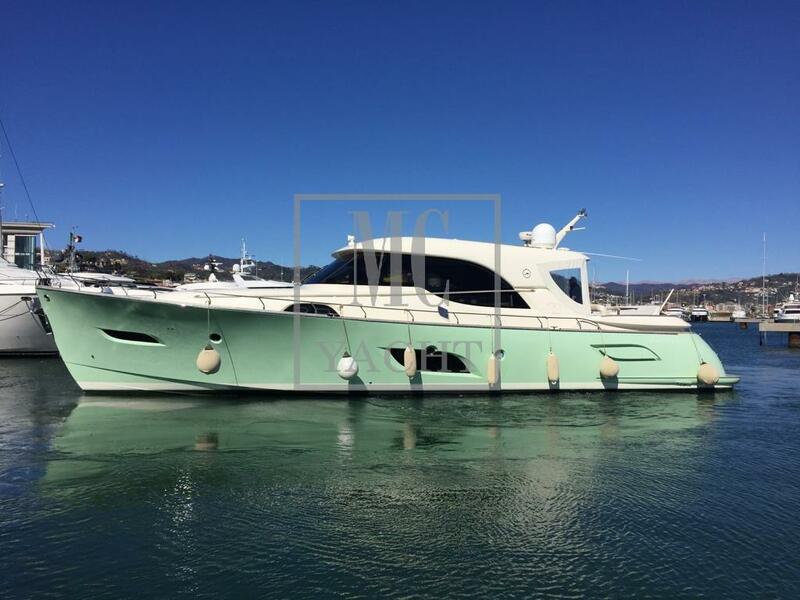 The Ferretti Group reintroduced Mochi Craft in 2001 with the launch of the Dolphin model line. Mochi yachts are known for their retro elegance, cutting-edge technology, and an assortment of unique hull colors. Worth Noting: The Dolphin model line is reflected in the brand's logo, with the swordfish being replaced by a dolphin surrounded by a circle. Mochi Craft Dolphin 44 2004 - Current 44' 9" 14' 9" 4' 3"
Mochi Craft 14m (46') 1993 - 1998 45' 11" 14' 6" 3' 3"
Mochi Craft 46 1987 - 1994 50' 11" 13' 9" 3' 11"
Mochi Craft 16 (52') 1993 - 1997 52' 6" 15' 0" 4' 6"
Mochi Craft Dolphin 51 2003 - Current 52' 2" 16' 1" 3' 11"
Mochi Craft Dolphin 54 2007 - Current 54' 7" 16' 0" 4' 8"
Mochi Craft 56 1989 - 1997 57' 5" 15' 6" 4' 11"
Mochi Craft Dolphin 64 Cruiser 2006 - Current 64' 4" 20' 1" 5' 10"
Mochi Craft Dolphin 74 Cruiser 2005 - Current 74' 0" 22' 5" 5' 6"
Mochi Craft Long Range 23m (75') 2008 - Current 77' 10" 21' 6" 6' 0"
Mochi Craft 25m Mega (82') 1995 - 1997 82' 0" 20' 0" 6' 3"
Mochi Craft 90 1995 - 1997 90' 7" 21' 0" 9' 2"
Luciano Mochi Zamperoli founded Mochi Craft in the 1965. 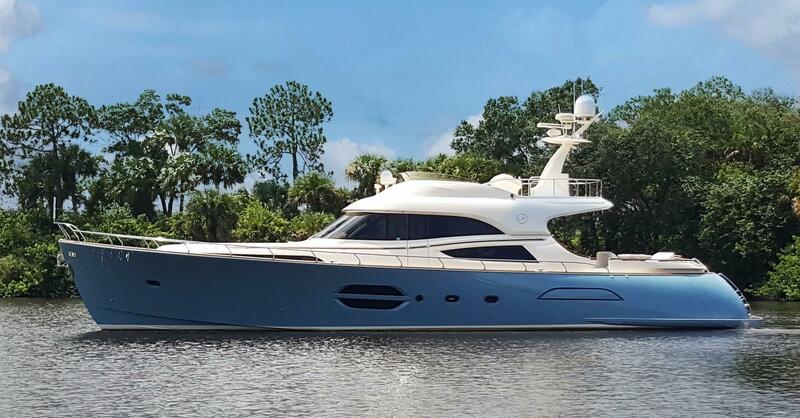 After producing flybridge models for the Italian and German markets for several decades, the Ferretti Group purchased Mochi in 2001. 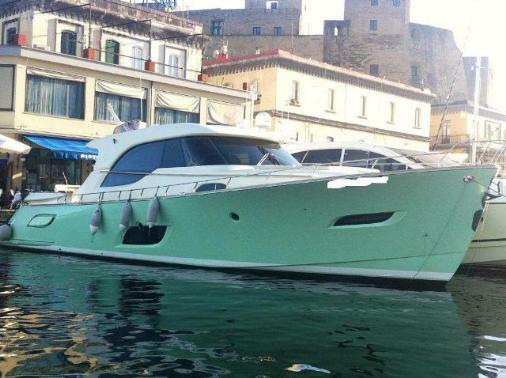 Mochi Craft yachts are built in the Forli shipyards, where the Group is headquartered. 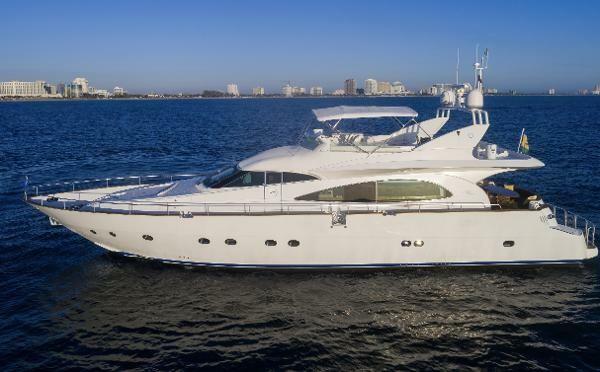 The parent company, the Ferretti Group, reintroduced the Mochi brand with the new model line, Dolphin, a contemporary design of the historic New England lobster boat. In 2003, the Dolphin 51’ was the model’s first launch. 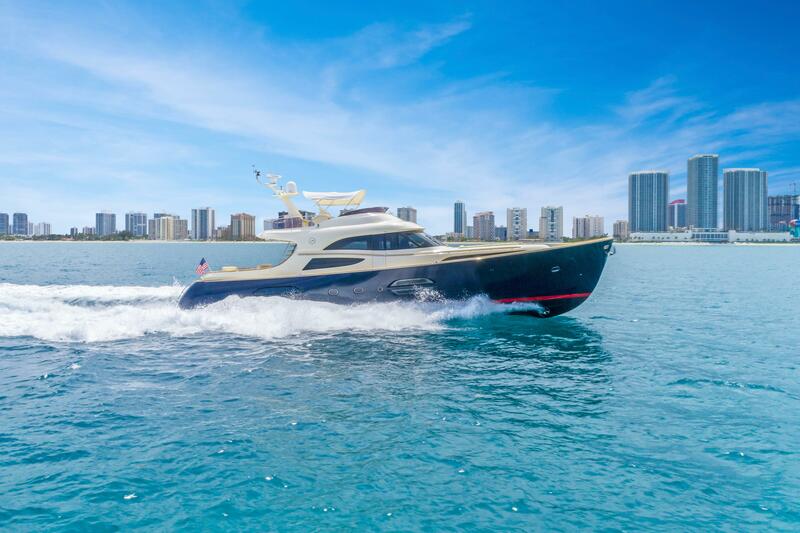 Through the Ferretti Group’s innovative technology and Mochi’s strong personality styled by designer and founder of Vicotry Design, Brunello Acampora, Mochi boats are stylish, safe, and comfortable. Mochi’s fleet of “Italian-Style Lobster Boats” range from 44 to 74 feet and are recognized for their elegant lines, eclectic features, vibrant hull colors, and top-grade performance.